Still, the cleverness of the disc’s packaging went beyond a mere contrivance. 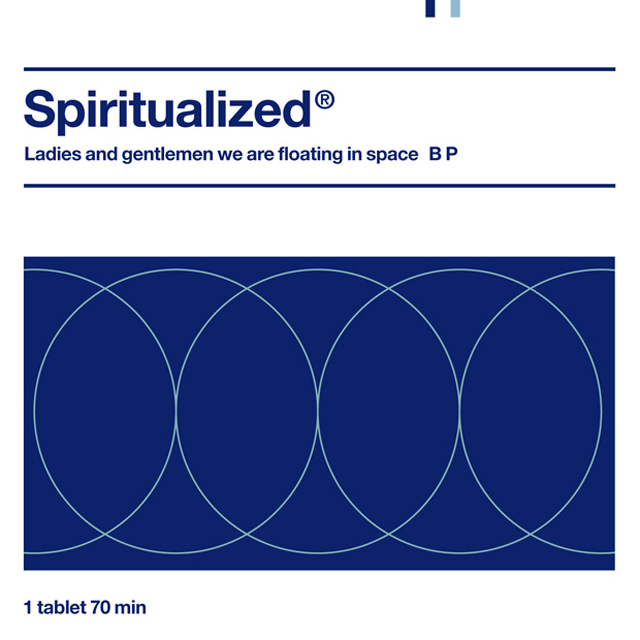 Spiritualized’s Jason Pierce worked with designer-at-large Mark Farrow to craft what has to be another of the 20th century’s one-of-a-kind covers. Specifically, devised to look like something Big Pharma would package to put in the hands of the prescription needy. The graphic even had its own dosing advice — “one tablet 70 min” — foremost on its overlay. Ladies and Gentlemen…‘s spartan blue on white typography made the clean 90s styling pretty modish2. Along with its elegant circle graphic, it’s an uncomplicated but strangely eye-catching motif. 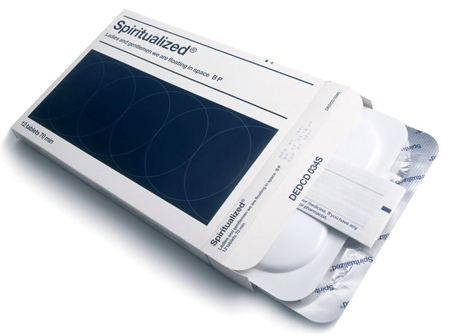 A special edition of the album would eventually come out in a distinct cardboard box configuration packaged to resemble prescription medicine3, carrying through with its overall theme. One of my favourite albums – I still have the prescription box original! I like the simplicity of it… yet it’s still quite striking. Great cover, great album, great band, great work!